Looking for an Eye Exam at the Walmart Vision Center in Athens, OH? Home » Looking for an Optometric Practice in Athens, OH? » Looking for an Eye Exam at the Walmart Vision Center in Athens, OH? Many people have discovered the convenience and cost-effectiveness of Walmart Vision Center for their eye and vision care needs. Considering that Walmart offers other services such as photography, automotive, nails, banking and beauty needs, it’s no surprise that they have entered into optometry. Walmart Vision Centers offer prescription frames and contact lenses , along with an eye exams by licensed doctor of optometry. Walmart has become one of the biggest contact lens retailers in the USA. Walmart Vision Centers, and competitors, see more than 6 million patients each year. 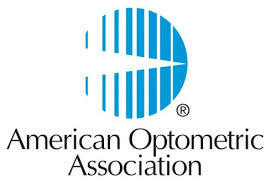 They are the second leading providers of optical goods (eyeglasses and contact lenses ) in the United States. Besides for being conveniently located to most people, Walmart Vision Centers are tastefully decorated and offer nice selections of eyewear at reasonable prices, including wide varieties of frames and lenses. Many people appreciate the ability to “walk in” without an appointment and find a popular name-brand frame, including Baby Phat, Phat Farm, Body Glove, Nickelodeon and Hanna Montana. You may, however, find it difficult to special order certain items, such as brand name progressive lenses or high-profile brand frames. Don’t feel like you must visit a private practice eye doctor in order to receive a thorough basic eye examination. Both independent optometrists, as well as Walmart-employed optometrists, offer complete eye exams to diagnose vision conditions as well as eye diseases . Rest assured, every doctor that Wal-Mart hires or contracts are licensed and fully certified optometrists, and in some cases ophthalmologists. However, if you have a fairly detailed prescription, you may want to stick with your existing optician who knows your history and whose skills to take extremely accurate measurements have been personally tested and approved.